Last month the UK introduced changes to the MOT test. As of the 20th May 2018, vehicles will now be tested under a new set of criteria. Most of the test is the same, however there are some important new items fleet managers should familiarise themselves with. 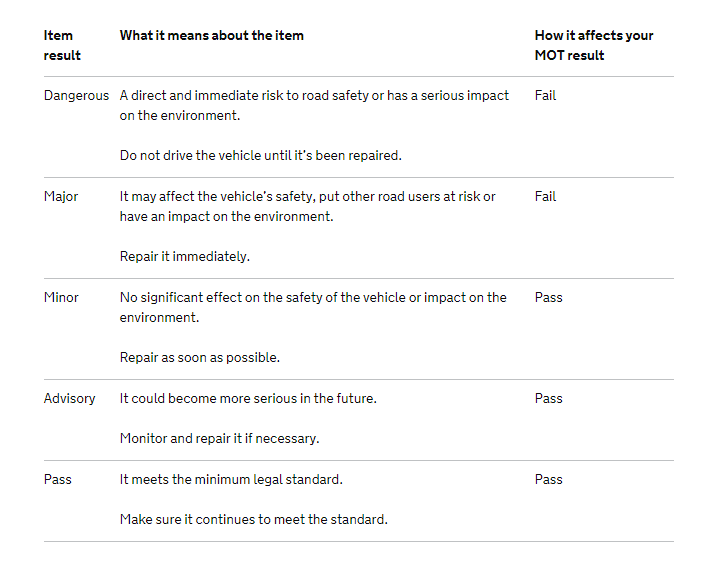 One of the biggest MOT changes is that defects on vehicles are now graded with a new system. Instead of a pass or fail grade, vehicle defects will be assessed as dangerous, major or minor. Any problems found with a vehicle that are categorized as dangerous or major are immediate fails; the vehicle will need to be repaired before it can leave the MOT centre. Hot debate circles the ‘minor’ defect category. Minor defects won’t fail a vehicle and it is possible to take the vehicle elsewhere for repair. And this is causing the grey area. Despite passing the MOT, if a vehicle is driven on the road with a known defect, drivers could be breaching the law. The Road Traffic Act 1988 requires drivers to keep vehicles in roadworthy condition. Those who fail to do this could occur a maximum fine of £2500 and three penalty points. 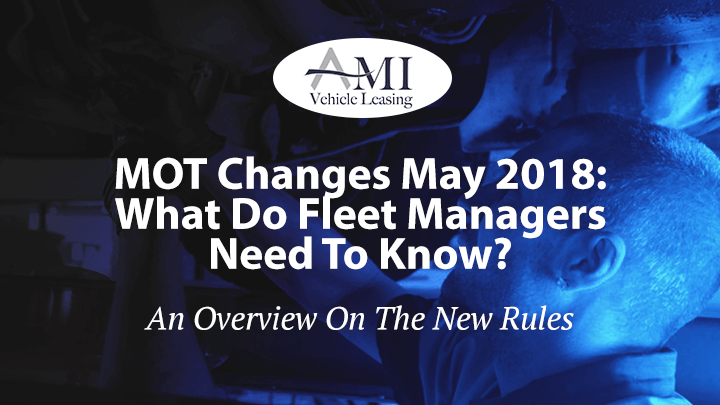 This new legislation will mean communication between drivers, fleet management and lessors is crucial. If a vehicle is in need of non-urgent repair, it will be important to communicate between all parties as to whether the vehicle can be authorised on to the road. Also, fleet operators may want to use the GOV MOT manual. You’re not a mechanic; you may know there’s a problem but you’re unsure if its dangerous, major or minor. Using the manual you’ll be able to check if the problem you’ve spotted is a dangerous, major or minor defect. We’re not suggesting you need to know the manual back to front, but it may be a good source to reference to. The new MOT changes will have a big impact on diesel vehicles. Smoke of any colour seen from the exhaust of a diesel particulate filter (DPF) equipped vehicle will result in a fail. This is the latest in recent changes working towards reducing the UK’s greenhouse gas emissions. The UK has the target to reduce greenhouse gas emissions by at least 80% by 2050 compared to the levels recorded in 1990. Also, if a MOT tester finds evidence that the DPF has been tampered with, this will result in a fail. For operators, this change may help bring to light any drivers with an oversized carbon footprint. Drivers commuting 5 days a week with a 30+ minute journey on the motorway are unlikely to encounter DPF problems. However, anyone using a diesel vehicle for short journeys; regularly experiencing stop-start traffic, are the more likely to be affected. It may be a good idea to discuss if the driver would be better suited in a different vehicle. Some new items will now be tested during the MOT. And when you see the implications of these items for driver safety, it questions why they were not included originally. If you run checks prior to sending a vehicle for an MOT, you may wish to update your check sheet. If you don’t currently do any checks, perhaps you may want to consider the advantages of doing so. 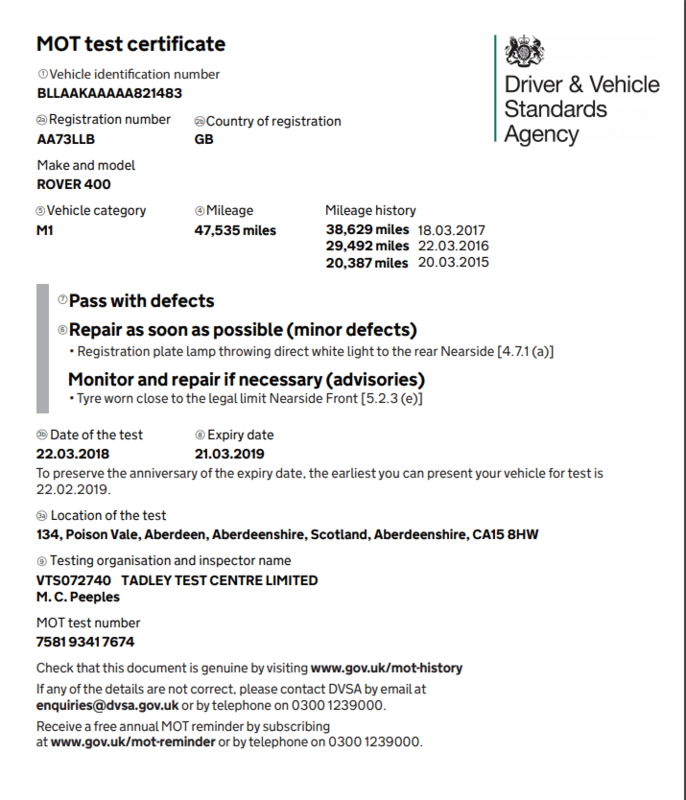 The design of the MOT certificate has changed. You can see the new design below.